"Das eigentliche Ziel ist die Transnationalisierung der Demokratie"
The interview is conducted by Thomas Meyer. Thanks to Burkard Kircher for the pointer! See also the new book by Hauke Brunkhorst: "Das doppelte Gesicht Europas" (Suhrkamp Verlag, 2014). Reviews of Thomas Piketty's "Capital"
+ Piketty's response [pdf] to the criticism in the Financial Times. 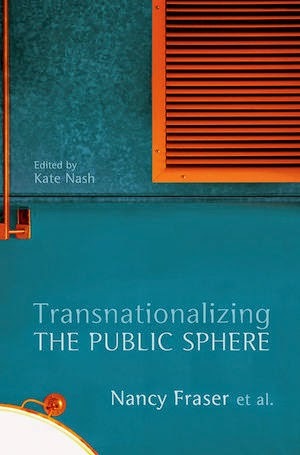 New Book: "Transnationalizing the Public Sphere"
by Nancy Fraser et. al. Is Habermas’s concept of the public sphere still relevant in an age of globalization, when the transnational flows of people and information have become increasingly intensive and when the nation-state can no longer be taken granted as the natural frame for social and political debate? This is the question posed with characteristic acuity by Nancy Fraser in her influential article ‘Transnationalizing the Public Sphere?’ Challenging careless uses of the term ‘global public sphere’, Fraser raises the debate about the nature and role of the public sphere in a global age to a new level. While drawing on the richness of Habermas’s conception and remaining faithful to the spirit of critical theory, Fraser thoroughly reconstructs the concepts of inclusion, legitimacy and efficacy for our globalizing times. This book includes Fraser’s original article as well as specially commissioned contributions that raise searching questions about the theoretical assumptions and empirical grounds of Fraser’s argument. They are concerned with the fundamental premises of Habermas’s development of the concept of the public sphere as a normative ideal in complex societies; the significance of the fact that the public sphere emerged in modern states that were also imperial; whether ‘scaling up’ to a global public sphere means giving up on local and national publics; the role of ‘counterpublics’ in developing alternative globalization; and what inclusion might possibly mean for a global public. Fraser responds to these questions in detail in an extended reply to her critics. Nancy Fraser is Professor of Political and Social Science at the New School for Social Research, NYC. She is the author of "Unruly Practices: Power, Discourse and Gender in Contemporary Social Theory" (Polity Press, 1989), "Redistribution or Recognition? A Political-Philosophical Exchange" (Verso, 2003) [co-authored with Axel Honneth] and "Scales of Justice: Reimagining Political Space in a Globalizing World" (Polity Press, 2008). 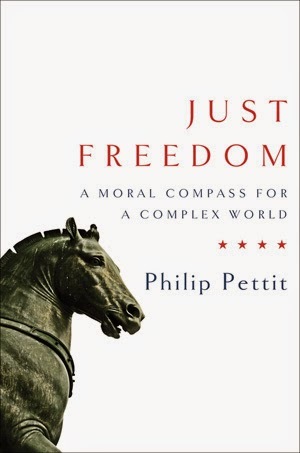 Pettit reaffirms the ideal, already present in the Roman Republic, of a free citizenry who enjoy equal status with one another, being individually protected by a law that they together control. After sketching a fresh history of freedom, he turns to the implications of the ideal for social, democratic, and international justice. An extensive biography of Jürgen Habermas will be published by Suhrkamp Verlag for his 85th birthday on June 18, 2014. 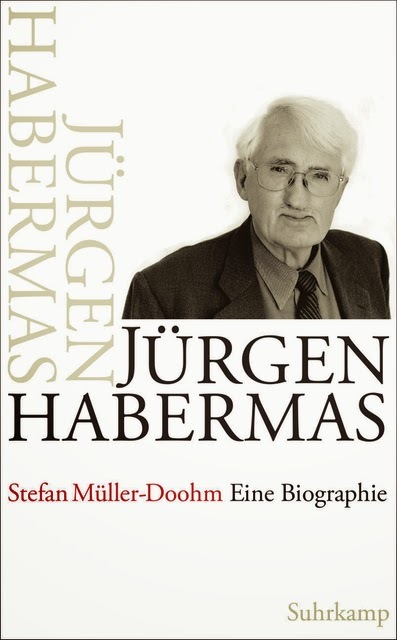 The biography - "Jürgen Habermas: Eine Biographie" - is written by Stefan Müller-Doohm, Professor Emeritus at Oldenburg University, who in 2003 published a biography of Theodor Adorno. An English translation will be published by Polity Press. Alessandro Ferrara explains what he terms "the democratic horizon" - the idea that democracy is no longer simply one form of government among others, but is instead almost universally regarded as the only legitimate form of government, the horizon to which most of us look. Professor Ferrara reviews the challenges under which democracies must operate, focusing on hyperpluralism, and impresses a new twist onto the framework of political liberalism. He shows that distinguishing real democracies from imitations can be difficult, responding to this predicament by enriching readers' understanding of the spirit of democracy; clearing readers' views of pluralism from residues of ethnocentrism; and conceiving multiple versions of democratic culture, rooted in the diversity of civilizational contexts. 6. Multiculturalism: Negation or Completion of Liberalism? Alessandro Ferrara is Professor of Political Philosophy at the University of Rome. He is the author of "Reflective Authenticity: Rethinking the Project of Modernity" (Routledge, 1998) and "The Force of the Example: Explorations in the Paradigm of Judgment" (Columbia University Press, 2008). See also Ferrara's paper "Judging Democracy in the 21st Century: Crisis or Transformation?" (2013, pdf). The current issue of New York University Law Review (vol. 89 no. 1, 2014) features tributes to the late Ronald Dworkin. See all the tributes to Dworkin here [pdf]. * Jeremy Waldron - "The Enrichment of Jurisprudence"
* Lewis A. Kornhauser - "Ronald M. Dworkin"
* Stephen Breyer - "Professor Dworkin...and the Judges"
* T. M. Scanlon - "Three Thoughts About Ronnie"
* Rebecca L. Brown - "Making Democracy Safe for Justice"
* Liam Murphy - "A Joy to Hear Him Speak"
* Robert B. Silvers - "On Ronald Dworkin"
* Thomas Nagel - "In Memoriam: Ronald M. Dworkin". Review of "The Critical Theory of Axel Honneth"
Lambert Zuidervaart is Professor of Philosophy at the University of Toronto. He is the author of "Social Philosophy after Adorno" (Cambridge University Press, 2007) and co-editor of "Truth Matters: Knowledge, Politics, Ethics, Religion" (McGill-Queen’s University Press, 2014). See also my post on Danielle Petherbridge (ed.) - "Axel Honneth: Critical Essays" (Brill, 2011). "Religion, Equality, and Public Reason"
A growing number of critics have asked whether singling out religion for special treatment is morally justifiable. In Religion Without God, Ronald Dworkin sides with those who reject the distinctiveness of religion. In this essay, I situate Dworkin’s argument within the larger debate. I then argue that his view is driven toward replacing a distinction between religious and secular commitments with one that turns on the difference between public and nonpublic values. The latter distinction is central to the idea of public reason. Although Dworkin resisted this idea, his arguments against the distinctiveness of religion lead him inexorably to some conception of it, suggesting the inevitability of a commitment to public reason for those who occupy a certain place in the debate about whether religion is special. Micah Schwartzman is Professor of Law at the University of Virginia School of Law. * "What if Religion Isn't Special?" (2012). 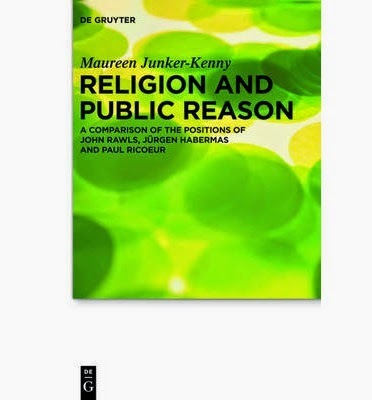 This book compares three approaches to public reason and to the public space accorded to religions: the liberal platform of an overlapping consensus proposed by John Rawls, Jürgen Habermas’s discourse ethical reformulation of Kant’s universalism and its realization in the public sphere, and the co-founding role which Paul Ricoeur attributes to the particular traditions that have shaped their cultures and the convictions of citizens. The premises of their positions are analysed under four aspects: (1) the normative framework which determines the specific function of public reason; (2) their anthropologies and theories of action; (3) the dimensions of social life and its concretization in a democratic political framework; (4) the different views of religion that follow from these factors, including their understanding of the status of metaphysical and religious truth claims, and the role of religion as a practice and conviction in a pluralist society. Recent receptions and critiques in English and German are brought into conversation: philosophers and theologians discuss the scope of public reason, and the task of translation from faith traditions, as well as the role they might have in the diversity of world cultures for shaping a shared cosmopolitan horizon. Maureen Junker-Kenny is Professor of Theology at Trinity College, Dublin. She is the author of "Habermas and Theology" (Bloomsbury, 2011). "The European Union's ongoing "crisis" has forcefully turned attention to the problematic relation between democracy and capitalism. We use the discussion between Jürgen Habermas and Wolfgang Streeck as our point of departure to demonstrate how the blind spots of the debate obstruct an analysis that is neither utopian nor resigned but tries to identify those conflicts in which citizens may at least hope to democratically unsettle both their national states and the European Union to keep them from merely complying to economies every need." See also my posts on the Habermas/Steeck debate here and here. Jürgen Habermas will speak on “Transnationalization of Democracy: A European Experiment,” on May 1, 2014, at Princeton University. Habermas will speak at Northwestern University on May 2, and at Boston College Law School on May 7.